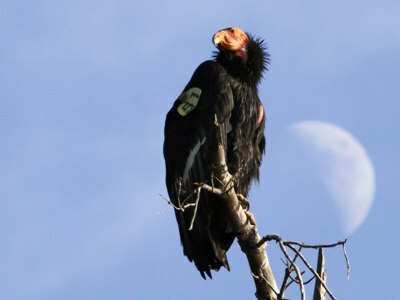 Home » Programs » MCAS Community Program: CONDORS! Once on the verge of extinction, the California Condor is on the comeback, thanks to reintroduction and management efforts in the last 20 years. The central California population, centered around Big Sur and Pinnacles National Park is spreading south into San Luis Obispo County. Join Ventana Wildlife Society biologist Mike Stake as he provides an update on the population, describes current efforts to manage the threat of lead poisoning, and shares why the increase in condor observations along the San Simeon coast is a good thing for condor recovery. Originally from the Bay Area, Mike received a Master's Degree in Fisheries and Wildlife from the University of Missouri in 2003. He spent several years with The Nature Conservancy working with endangered Black-capped Vireos and Golden-cheeked Warblers in central Texas, and coordinated avian research projects for Hawks Aloft, Inc., a non-profit in Albuquerque, New Mexico. He joined Ventana Wildlife Society in 2009, where he now assists with California Condor recovery and manages various research and consulting projects.